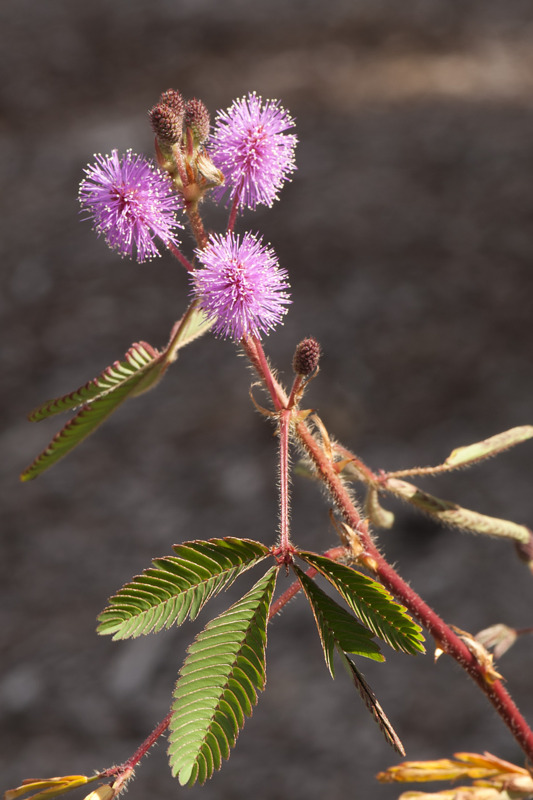 Information about this pest can be found on the common sensitive plant: declared pest page. Thoroughly wet foliage. Do not disturb plants before spraying as leaves will fold up reducing surface exposed to the spray. In sugar cane 560mL/ha applied post-emergent when weed has less than 8 true leaves. Krismat wg (731.5g/kg ametryn + 18.5g/kg trifloxysulfuron) also registered for use in sugar cane. Leaves will close up if touched so always avoid contact with plant when spraying. Formulations containing 333g/L and 400g/L available. Try to avoid causing leaves to close before spraying. A variation to this product is now available. Grazon™ Extra as well as containing picloram + triclopyr, has a new herbicide aminopyralid which is claimed to give it more activity. This is registered for use on sensitive plant in WA. Use at same rate as above product.